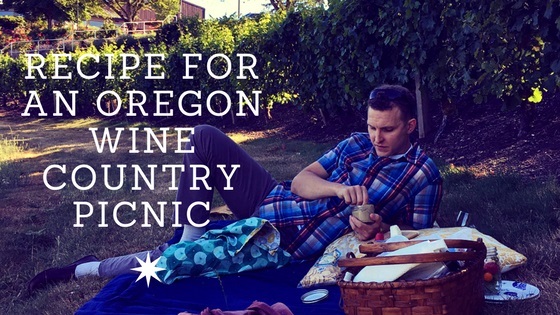 My partner and I celebrated our 11-year anniversary yesterday in bang-up, Oregon wine country picnic style. Just like for our original honeymoon, when he indulged me by taking me to the writers’ homes in the Berkshires (hello, Edith Wharton’s Mount! 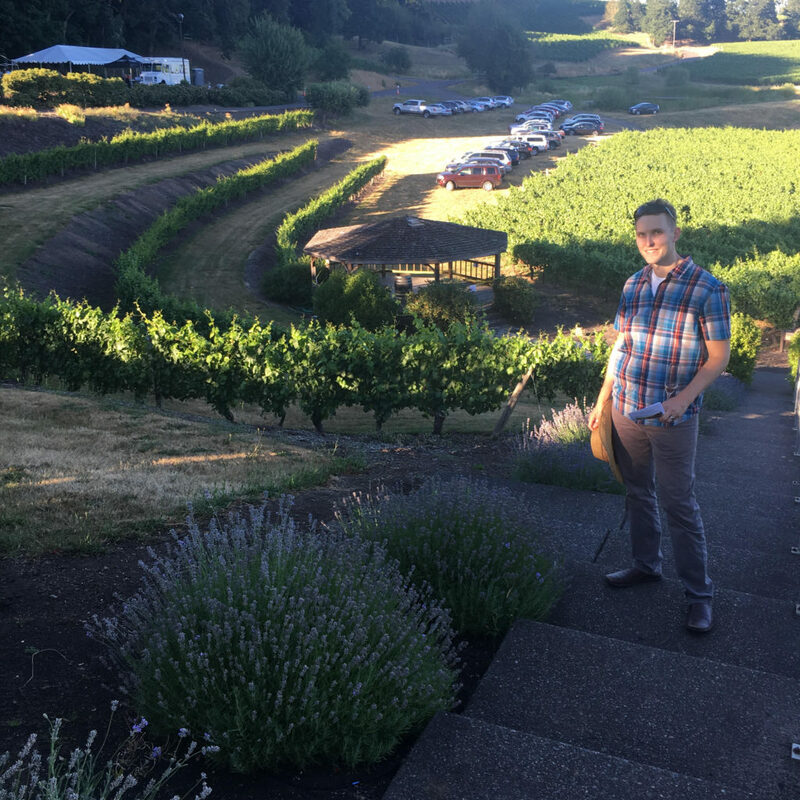 ), Adam was more than happy to step into my idea of bliss: Opera in the vineyard with an over-the-top picnic. I’ve been taking most of my picnic cues from this fabulous book by a trio of real PDX foodies, The Picnic: Recipes and Inspiration from Basket to Blanket . These ladies — Marnie Harnel, Jen Stevenson and Andrea Slonecker — started the Portland Picnic Society a few years back. They’re all involved in the food story industry, and I really can’t get enough of their somewhat cheeky, always fun writing. We took the back gravel roads to Elk Cove, which is situated on hills west of tiny Gaston. The vineyard has a sloped, curving set of grapevines that hug the road into the tasting room, a perfect place to set up a picnic. 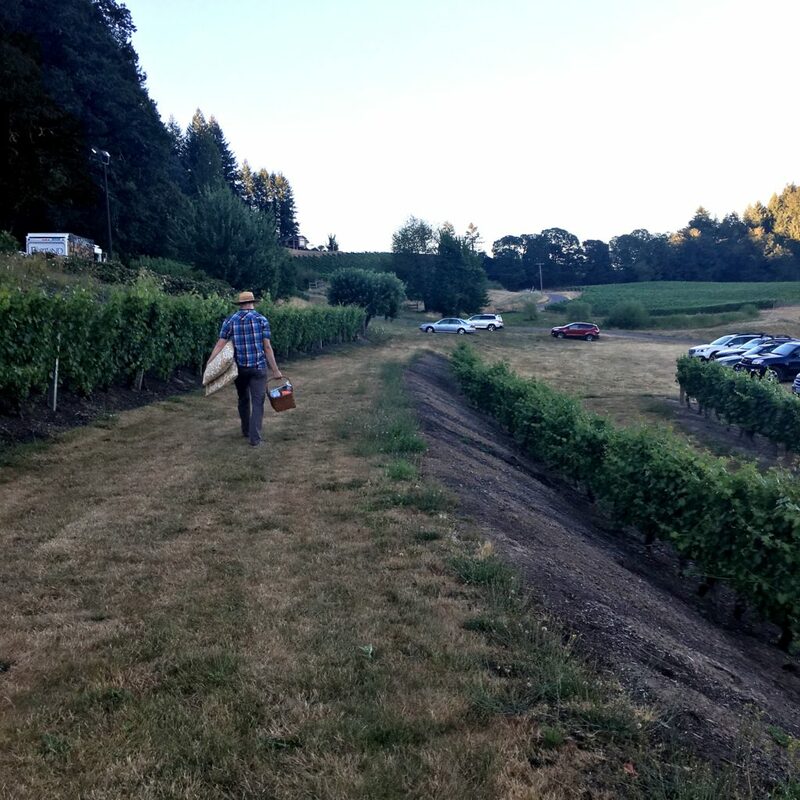 Even with about 100 people there for the Opera in the Vineyard event, we felt like we had some privacy there between the vines. Alone with a view. It’s a great place to celebrate a marriage. I spent a couple of days preparing the over-top items in our basket. We prefer finger foods at picnics (the book has an entire section on main courses I didn’t even touch). 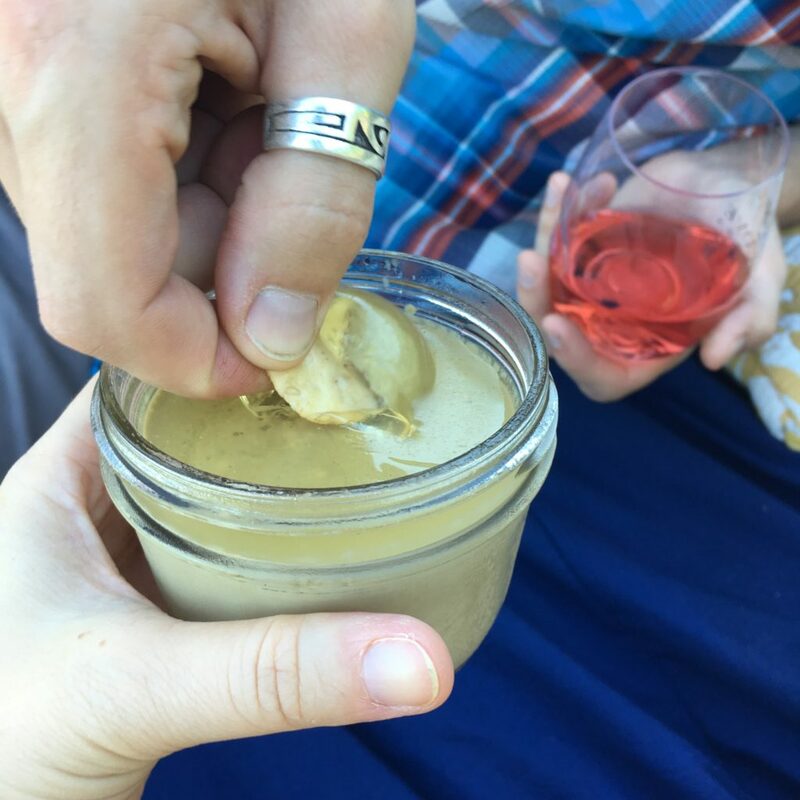 FYI my favorite section in the book is the nine kinds of deviled eggs, which you can assemble artfully on site with a little preparation, but I opted this time out to make my first ever liver mousse. Divine!). The Portland Opera performed a short set there in a shaded parking lot. It’s been a while since I sat so close to someone singing opera, and I wasn’t sure just how I’d react. It took a few notes before I was weeping and it stayed pretty much like that through all of the selections, which ranged from a few arias from Puccini’s La Boheme to a couple standards from American musical theater (People Will Say We’re in Love, Somewhere Over the Rainbow). It was a light-hearted affair, performers seriously having a great time in the casual setting. Full disclosure: I collect tiny landscapes. And there was a tiny landscape artist on site, Christopher Bibby, making free watercolor landscapes. Watercolor and “immediacy” are words that always go hand-in-hand, but perhaps never so much as when you see an artist swipe just a few brushstrokes and end up with a snapshot of the landscape. 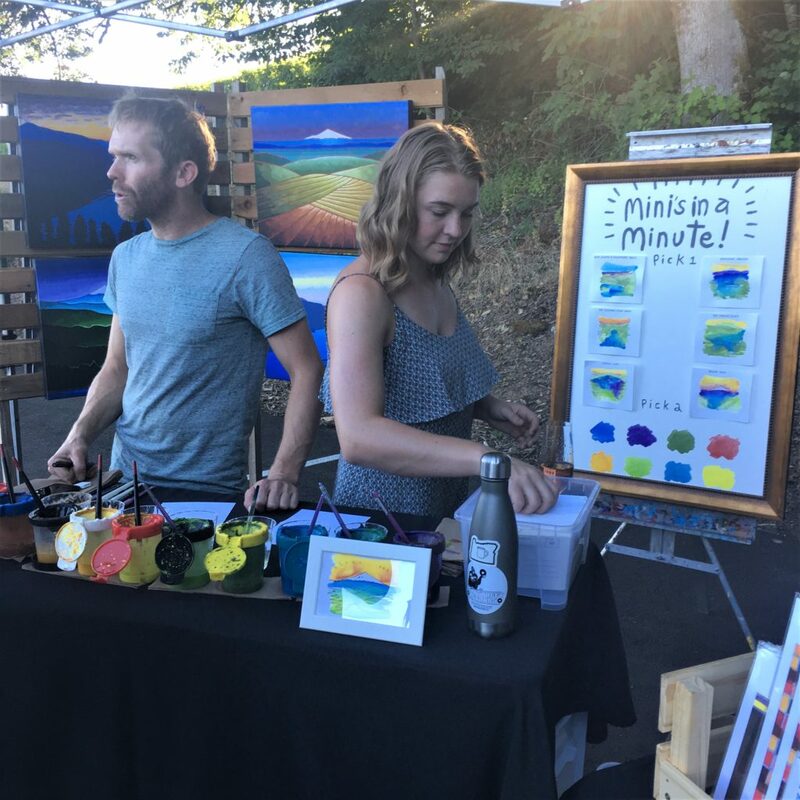 He calls them “Minis in a Minute.” He was a cool guy — came here from northern England a few years back, has been honing his technique for about a year and goes to these events where he paints them on-demand. I asked for a wine country landscape (sorry, I like to see my view from the window on my wall), but he also did a greatest hits parade of Oregon treasures: Waterfalls, Crater Lake, etc. I love mine. A deliberately pared-down palette, just a few strokes with the pen, but it looks like home. Owls, did you say? Yes, the Audobon Society released three barn owls at the event. Can you think of a better way to feel that particular soaring of the heart, three times over, than picnic, opera and barn owl release!? It was like the romantic’s trifecta. Seriously. Warning: The slow-mo video I took only gets going at about :15. Even the end, just sitting back at our blanket as the sun set. Every anniversary should be the picnic anniversary. BUY THE BOOK: The Picnic: Recipes and Inspiration from Basket to Blanket . You don’t need to visit me, I’ll travel to you! 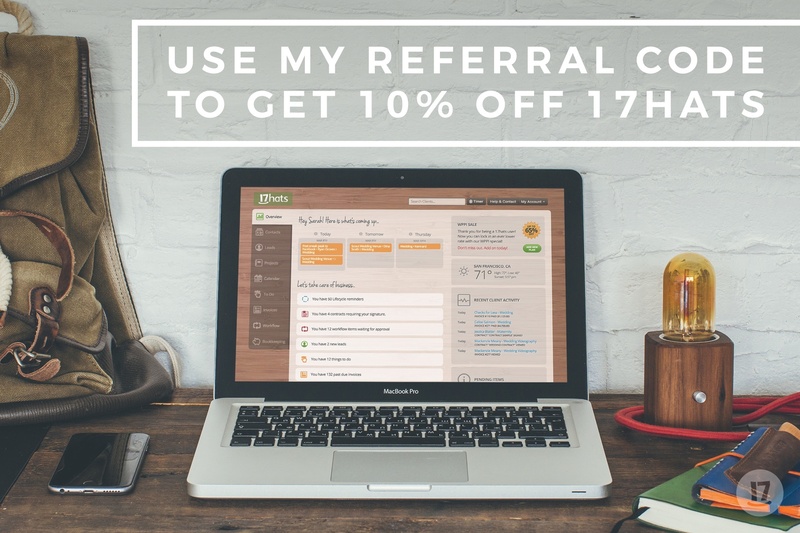 Sign up for my newsletter below. It’s a collection of stories about travel, wayfinding and creativity.